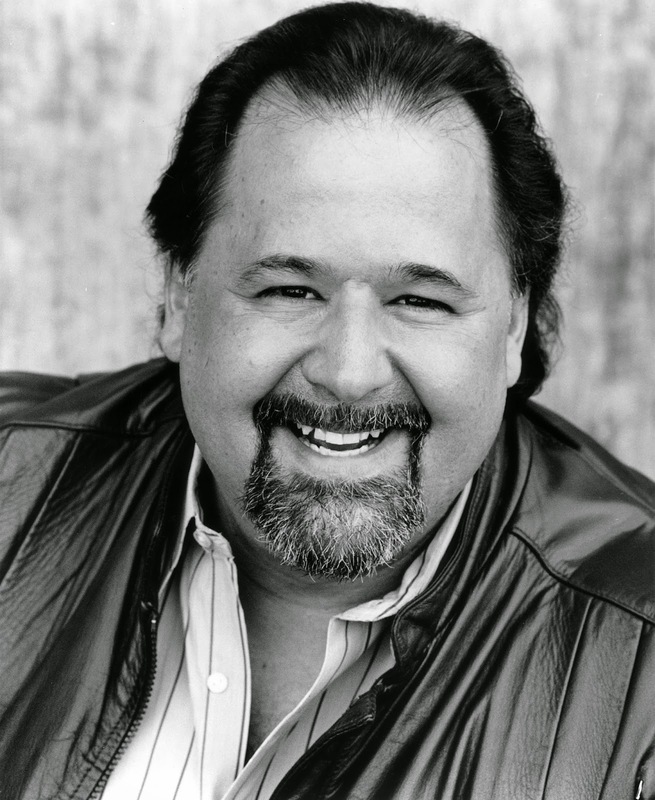 Seattle Opera celebrates the life and artistry of beloved American bass John Del Carlo, who recently passed away at the all-too-early age of 65. 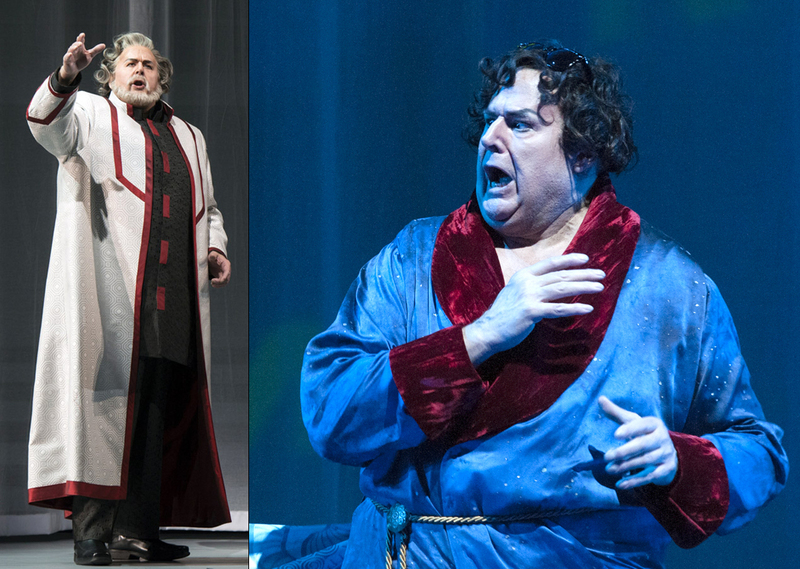 Del Carlo's amazing voice and great sense of humor delighted Seattle audiences beginning in 1984 (when he debuted as Donner & Gunther in the RING) all the way up to 2015, when he sang Cadmus & Somnus in Semele. Backstage, he was beloved by all--a great colleague and friend, with an extraordinary ability to made any rehearsal or performance less stressful and more fun just by being in the room. Says Speight Jenkins, "John had what could only be called an operatic personality. His sense of humor was balanced by his remarkable acting in both comedies and serious operas; he supported whatever cast he was in with his good humor, intensity, and incredible professionalism." Read Bruce Duffie's interview with him from 2000, or our interview with him from last year. 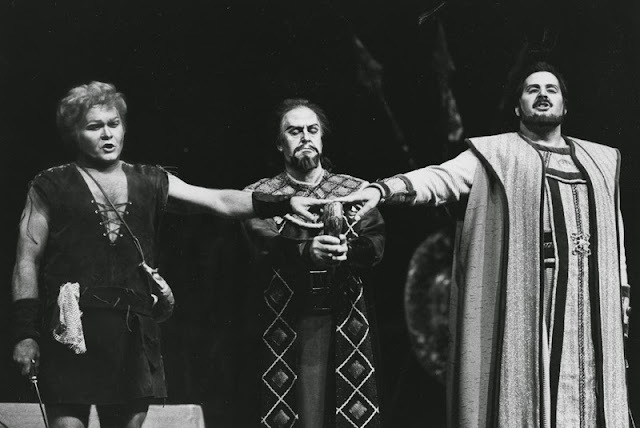 John and my father sang together many years ago in the San Francisco Opera Chorus. He was a dear friend and colleague to my dad, who still tells the tale of John heading off to the Met to audition. I adored him as Cadmus/Somnus, and was so saddened to hear of his passing. My he, his great physical stature and presence, and particularly his beautiful voice, rest in peace.